Currently a PhD student with Nelson Mandela University, Port Elizabeth, South Africa. Grad CE and BA (University of Zimbabwe). Matope, N, Maruzani, N and Chauraya, E. (2014). Gender Dynamics in the performance of grade 7 certificate primary education examination in Gweru urban District, Zimbabwe. Global Journal of Interdisciplinary Social Sciences. Vol 3 (4) p168 -172 July – Aug 2014. Mugodzwa, T, Matope, N and Maruzani, N. (2013). Motivations for prostitution among female students in an institution of higher learning in Zimbabwe. The Vol 7 no. 3, pp 157-170. 2013. Matope, N. Maruzani, N., Chauraya, E. and Bondai, B. (2013). Lobola and gender based violence: the perceptions of married adults in Gweru. Journal of Education Research and Behavioural Sciences. Vol. 2(11). Pp 192-200. November 2013. Maruzani, N. Mandipa, E. Matope, N. Mugodzwa, T. And Chinyoka, T. (2013). Gender, Disability and Empowerment in institutions of higher learning in Zimbabwe. Journal of Humanities and Social Sciences. Issue 8. Version iv, p 1 – 7. Matope, N. (2012). 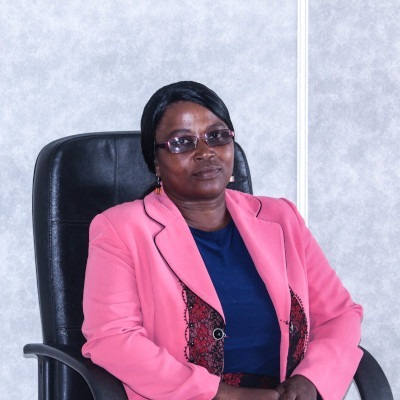 Gender Discrimination in Educational Personnel: A Case Study of Gweru Urban District Secondary Schools, Zimbabwe. US- China Education Review B Vol. Number 7, July 2012 (Serial Number 14). Chauraya, E. Matope, N. And Maruzani, N. (2012). Voices of Conflict: Students’ and Lecturers’ Perceptions of the Utility of the Bridging Program at University. US- China Education Review A Vol 2, Number 4, April 2012. Matope, N. and Mugodzwa, T. (2011).The Prevalence of Corporal Punishment in Zimbabwean Schools in the Twenty- First Century: A Case Study of Gweru. The Dyke. Vol. 5.2(2011). Mugodzwa, T. And Matope, N. (2011). Gender Issues in Zimbabwe in Introduction to Gender Studies A Students’ Guide. Book Love Gweru .2011. Gender –based interventions at Midlands State University. Government Complex, Gweru. Interlinkages between lobola and gender-based violence: the perpetuation of economic inequality in Zimbabwe. 26- 31 August 2012. Nelson Mandela University, Port Elizabeth, South Africa. Gendered violence in intimate partners: the role of gender and gendered effects among university students. 25-27 January 2012. Moi University, Eldoret, Kenya. The current political impasse and the future of education in Zimbabwe: 1980-2010. 15 September 2011. Midlands State University, Gweru. Gender mainstreaming in the political and economic arenas. May, 2013. Kampala, Uganda. 16 Days of Activism against Gender Based Violence, Women’s Coalition of Zimbabwe, 1 December 2007. Fairmile Hotel, Gweru. Faculty of Education research project standardisation workshop. University Seminar Room 1. 2013. Elsevier Research Workshop 27 July 2016. Midlands State University Great Hall.